The word Epiphany, which is the current season of the church calendar, is from the Greek word meaning ‘to be revealed’. This is a time of revelation when Jesus, God’s Son, was revealed to the world. Last Sunday, Epiphany Sunday, we celebrated Jesus being revealed to the wise men. And today we have the revelation of Jesus in his baptism, when God says to him, ‘You are my Son, the Beloved; with you I am well pleased’. This was a wonderful moment of personal affirmation for Jesus and a public affirmation of him as the promised Messiah – the one to be the saviour of the world. Jesus’ baptism was very different from the baptisms we have at St Paul’s and St Matthew’s. Jesus was definitely not a baby, and the water of the Jordan was not clean, but muddy and murky (and certainly not made comfortably warm, as the water in the font always is!). Yet the similarities are that Jesus was coming to be blessed by God, to be affirmed by him, and in front of witnesses – as are the babies, children and adults who come here to be baptised. 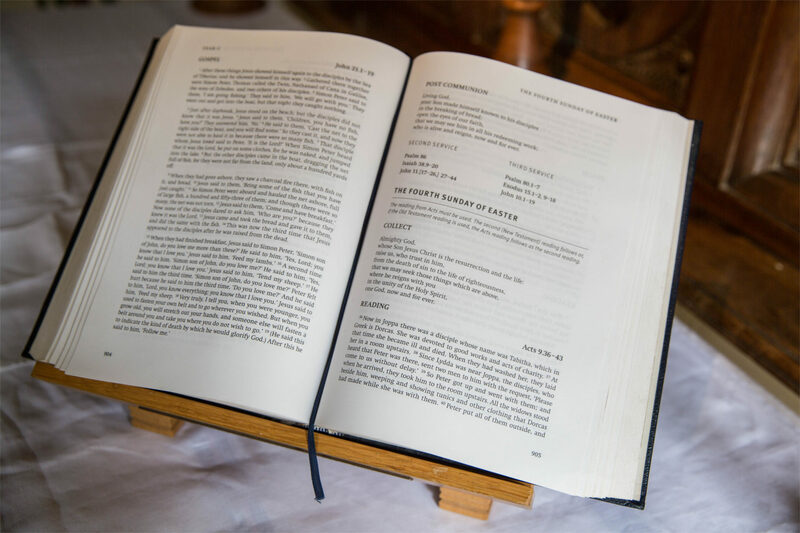 All three synoptic gospels – that is, Matthew, Mark and Luke – tell of Jesus’ baptism. They are named ‘synoptic’ because they have many of the same accounts in similar sequence, and here is an example of this. The baptism of repentance that John offered didn’t of course apply to Jesus, the Son of God, the sinless one. Yet Jesus insisted, saying that it must be so; Jesus was identifying with us in our sinfulness, being one with us in our humanity. Did the crowds around Jesus hear the voice of God and see the dove descending? We don’t know; some say the people heard thunder. Whatever happened, this was a special moment. For Jesus, it was the beginning of his ministry. For John, it was the handing over of the reins to the Messiah, the one he’d been preaching about, the one who was to come. For the people around, those witnessing this, perhaps there was little understanding but a realisation that this was somehow an important event. In any baptismal service we are all invited to remember our own baptism, or at least recall that we were baptised, and to remember what promises were made. In these services three questions are put to the parents and godparents which we, at the beginning of this New Year, can also put to ourselves. The first is ‘Do you turn to Christ?’ In our busy lives (especially the busyness of the past few weeks) we can rush ahead into each day, forgetting who we are as Christians and who we follow. Then coming to church on Sunday may remind us of Jesus’ love for us and all that he has done for us. Perhaps in this New Year we can turn to him afresh, resolve to put him first in our lives, resolve to live our lives as Christ wants us to live. We can ask him to lead and guide us by his Holy Spirit, to show us the way and help us be thankful for the salvation he brings us and for all that he gives us each day. This thankfulness is something that can lift our hearts. Sometimes in difficult situations it is challenging, especially if we are at a low ebb and things are dark, but in those difficult times we can perhaps just give him thanks for life and breath. The second question is ‘Do you repent of your sins?’ Each day we say and do things that we shouldn’t say or do. Do we remember to ask forgiveness? Some people do what is called the examen at the end of each day. This is a way of looking back through the day and seeing where we felt good and where we might have done better, then asking forgiveness. As we go on in our Christian lives we realise that, in the light of the holiness of God, we all fall short. We all need to ask God for his forgiveness and repent –say sorry, then resolve to do things better. The third question is ‘Do you renounce evil?’ Have we the courage to challenge someone when we feel they are speaking badly about somebody else? Some of us have opportunities to make more of a difference by speaking out against wrong – in the workplace, in the shops, amongst our friends. Have we the courage to speak out for good? These three baptismal questions are a good set to follow in our Christian lives. Jesus’ baptism was one of humility. He didn’t need to be baptised for repentance, but he humbled himself and entered the murky waters of the Jordan to identify with us, to come where we are and to be with us in the murkiness where we sometimes find ourselves in our lives. Jesus didn’t need to be baptised for repentance, but he humbled himself and entered the murky waters of the Jordan to identify with us, to be with us in the murkiness where we sometimes find ourselves. As we turn to Christ afresh this New Year and thank him for all his blessings, perhaps we can ask him to help us to be more and more with others in their murkiness as well – to be Christ to them, to listen and to pray with them. At another church I was at, we were encouraged to look at how we could be involved with those who do not go to church – neighbour, work colleague or person at the school gate. When we’re members of a church it can be all too easy to stay within that group of Christian friends. But ours is to be spreading the love of God and praying for those in need, in their murkiness. Some of us will have work colleagues we can speak to and pray for, some friends or neighbours; perhaps we can think again about how we relate to non-churchgoers? Some of us who can’t get out to meet people can be at home praying for those in need, and the value of those prayers is immeasurable. On Tuesday, the day of the Brexit vote, a group of about 60 Christians will be meeting in Westminster to pray for the whole situation, as they have been praying over the months. At the mention of Brexit many emotions can arise including fear, frustration, hatred, despair and often the main feeling of helplessness – there’s nothing we can do. This is a very murky situation, a situation that needs the love and power of God. And in this situation all most of us can do is pray. I hope that you’ll be praying. This is part of Jesus being in the murkiness with us, as we pray for his presence in the situation and trust that somehow he will answer our prayers – not in ways we can perhaps see or ways that we think should be right … but he does answer prayers in his time and in his way. As we go into this New Year, with so much uncertainty in the world and in our lives, let us ask God to help us to be in the murkiness, to listen, to talk, to pray, wherever he wants us to be, and to bring his love, his power and his peace.